Grand Rapids Community Media Center will host an Open House on July 21 to give community members a chance to dive into our storytelling platforms. There will also be a free showing of Coco beginning at 2:30 p.m.
Did you know that Wealthy Theatre, WYCE, GRTV, and The Rapidian are all part of the Community Media Center? Did you know that through the CMC, you can learn to be a radio DJ, make movies and TV shows, write local news articles, and even learn to be an animator? The Grand Rapids Community Media Center is a nonprofit organization that strives to build community through media. Join us for an open house event at Wealthy Theatre on Saturday, July 21st to learn more! WYCE - Talk to our radio programmers and learn what it takes to be a DJ. Ever thought about being a radio show host? WYCE will teach you, and you could be one of their volunteer programmers! They'll also have a record sale table for anyone looking to add to their vinyl collection. GRTV - Lights, camera, action! GRTV has a great selection of top notch video production equipment. Try some hands-on activities, and learn how you can use the GRTV studio to film your own TV show. Want to get more experience? GRTV has a bunch of volunteer events throughout the year. Just ask! Education - Have you ever wondered how cartoons are made? Have you ever tried making a stop-motion video? Swing by our second location just two doors down for our free animation workshop! You can learn more about what it takes to animate a film, and then join us for a free screening of Pixar's "Coco" at 2:30 p.m. The Rapidian - Hot off the press, the Rapidian will be ready to answer your questions and teach you how to be a quality journalist. Do you have an article you want to share with our community? Chat with our local news team about publishing your articles for free on our website! Wealthy Theatre - Go behind the scenes with us for a tour of our beautifully restored historic theatre. 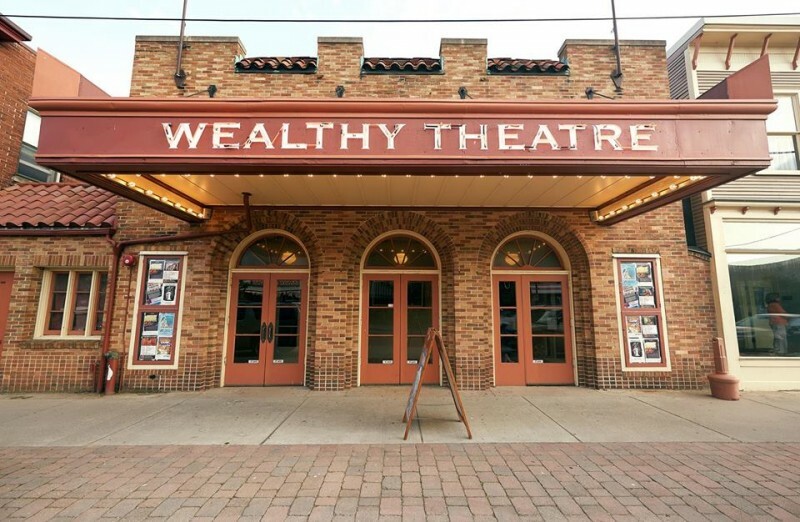 Originally built in 1911, Wealthy Theatre is now a community venue that's available to the public to rent out for minimal costs. We also offer many volunteer opportunities, and will have a list of upcoming events. Learn how you can get directly involved with our historic theatre! Be sure to check out the beautiful paintings hanging in our lobby. This month's featured artist is Deb Dieppa, former Heartside artist from Grand Rapids. Deb will be showcasing her art in our lobby and will be available to answer questions about her works. She will also have a selection of her works for sale during the open house. FREE screening of Pixar's award winning film "Coco" will start at 2:30 p.m.! Bring the family and enjoy this beautiful animated film.